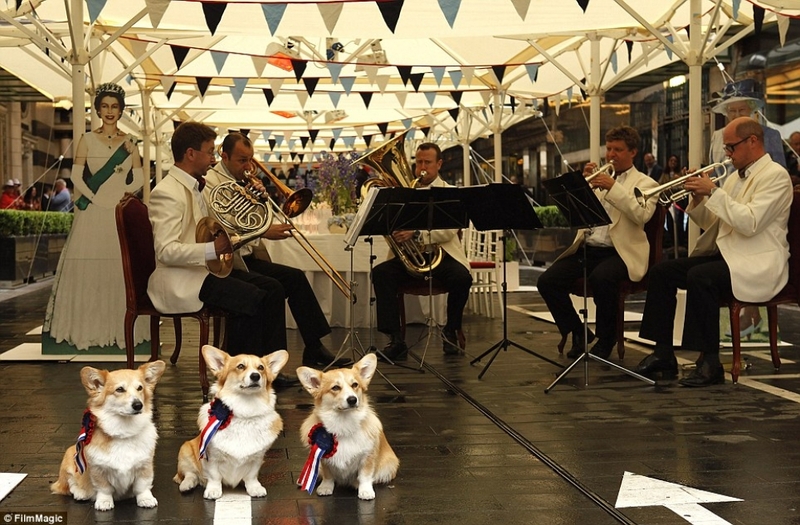 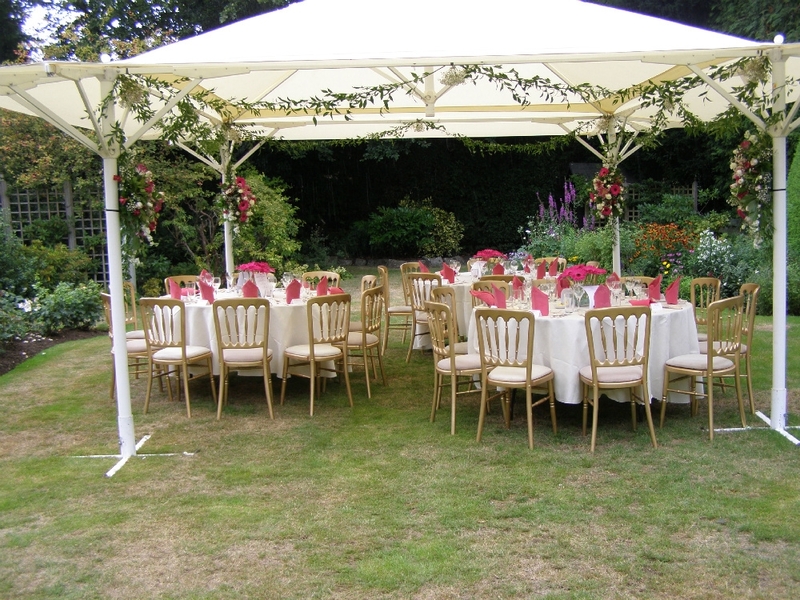 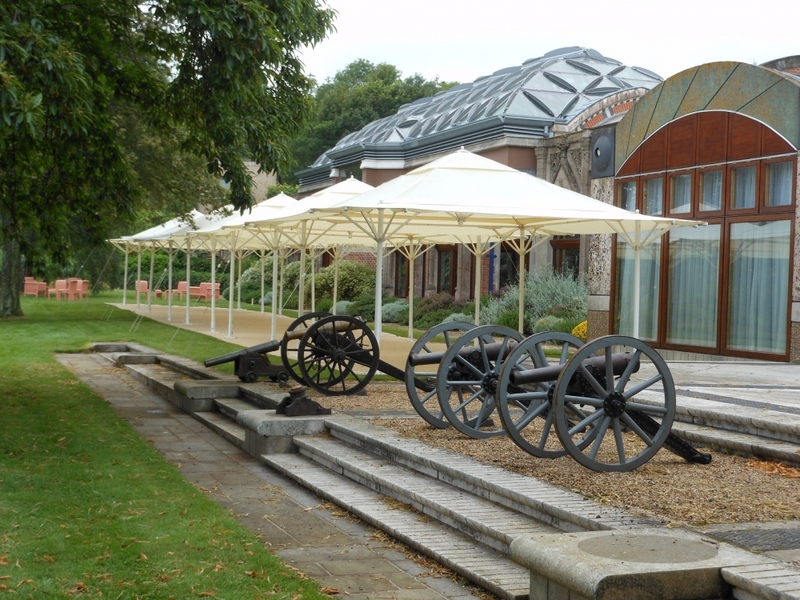 The Colonial Mini Marquee is an elegant 6M x 6M structure for hire. 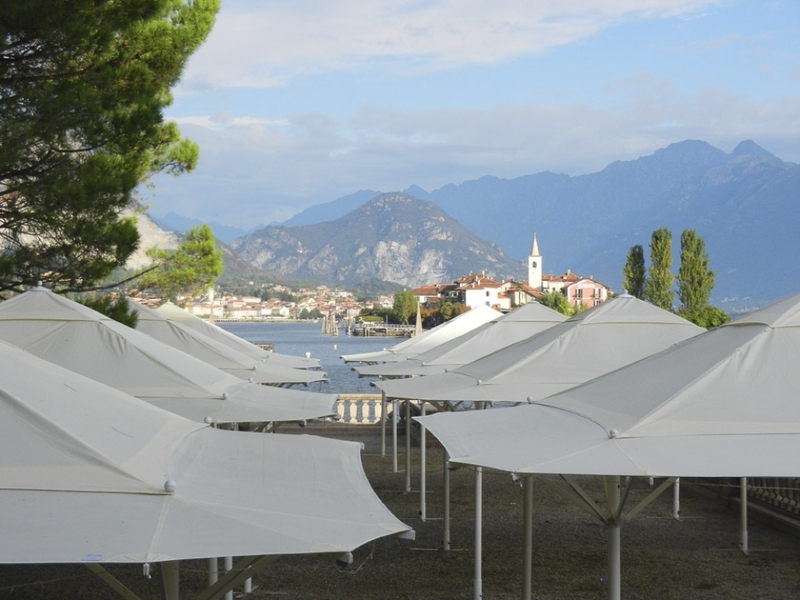 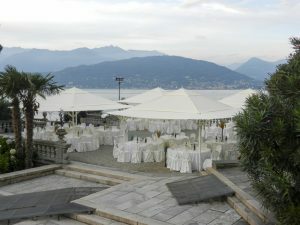 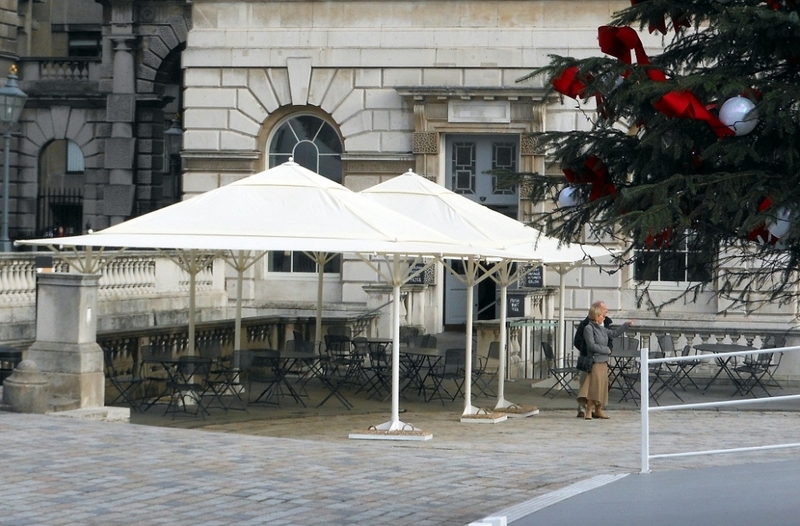 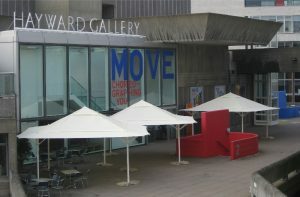 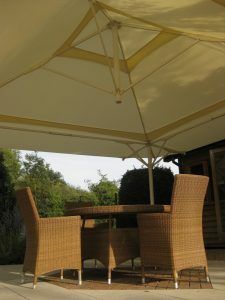 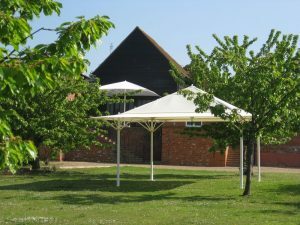 This stylish canopy is supported by posts at four metre centres with rounded corners and varying slopes. 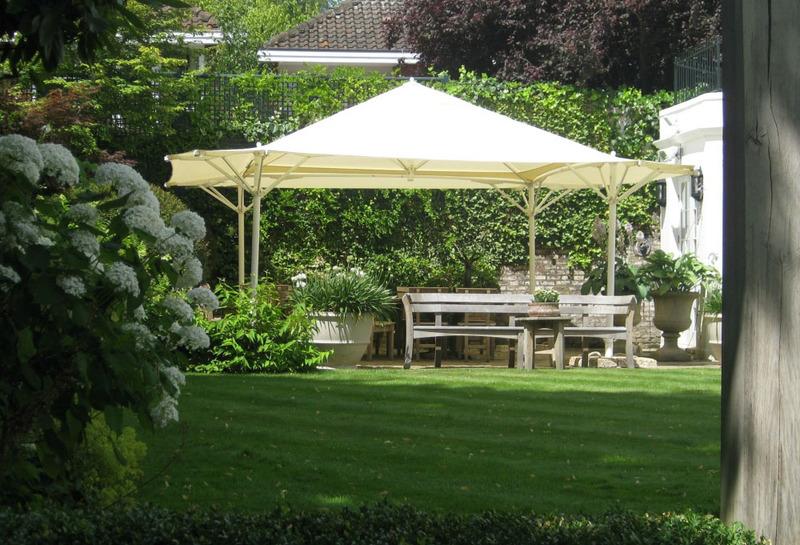 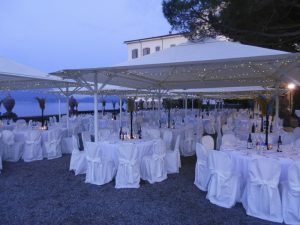 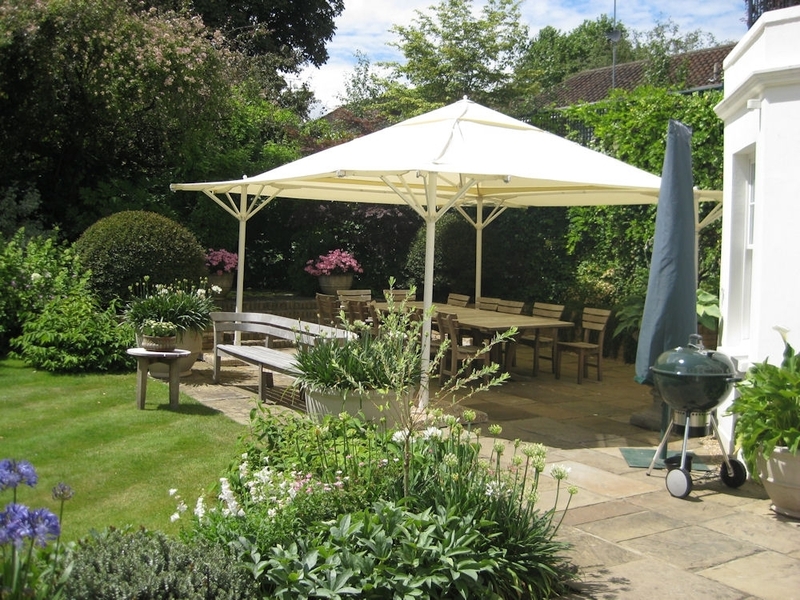 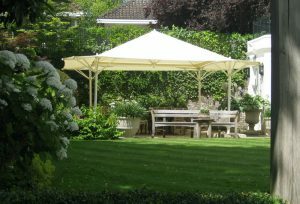 Its classic looks make this a striking centrepiece for any party or function whilst offering practical shelter from rain or powerful sunshine. 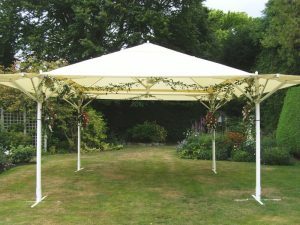 This ia a chic alternative to a traditional marquee. The Colonial Mini Marquee can comfortably accommodate 30 seated guests, or up to 40 for drinks and canapés. 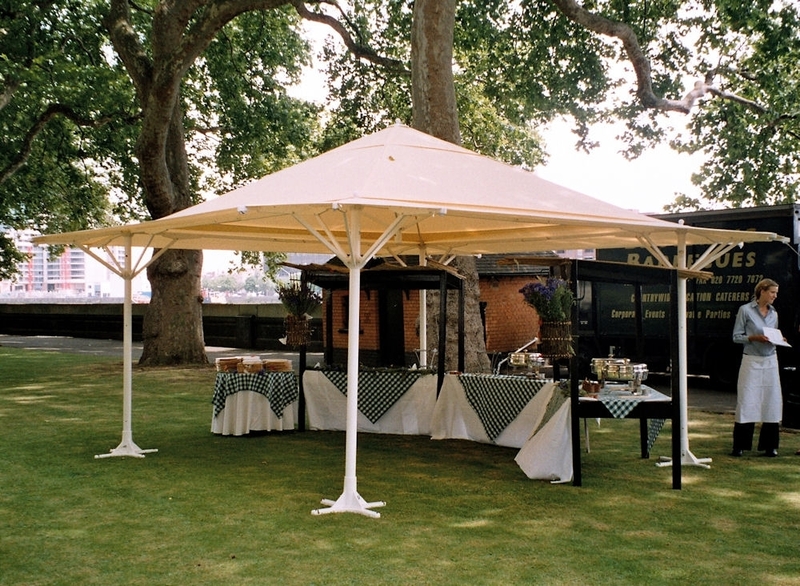 The colonial design sets a sophisticated scene and so adds to the character of your party. 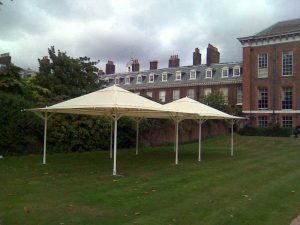 We are based in Guildford so we can easily supply to Surrey, Hampshire and the other home counties but we can deliver further afield as well if required. 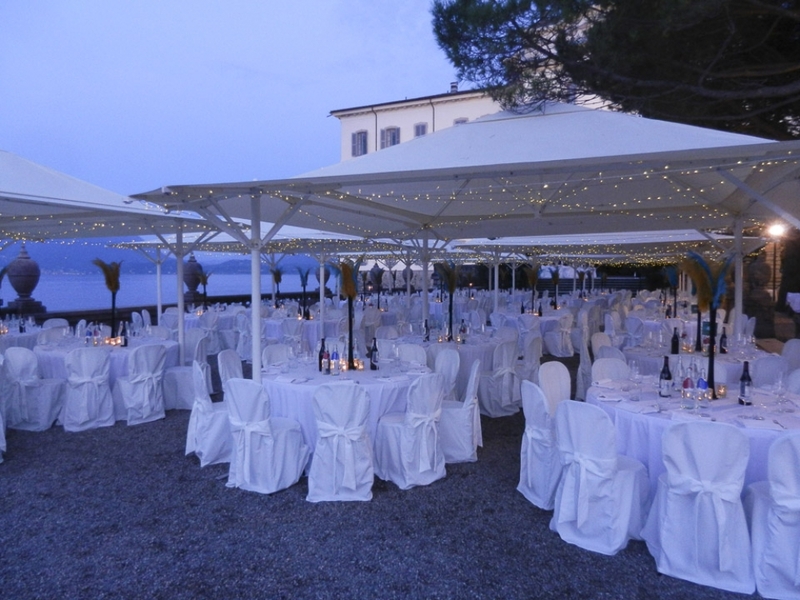 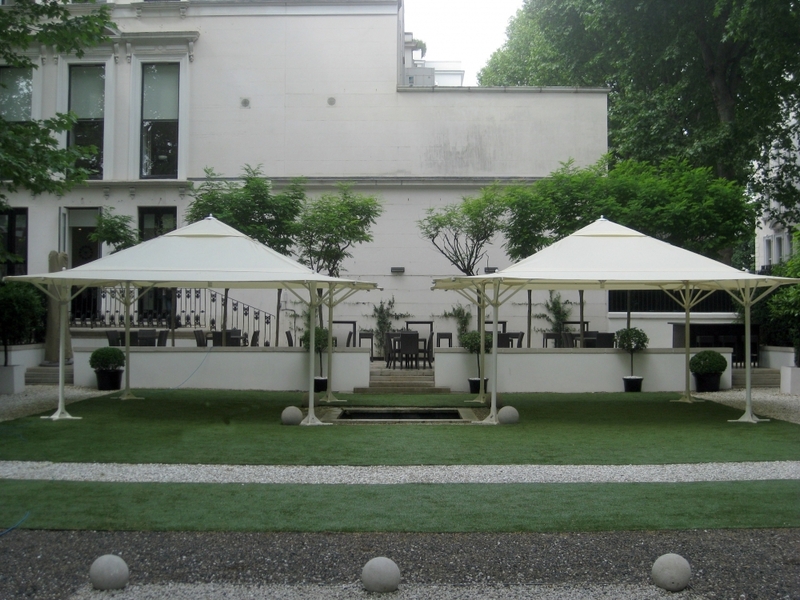 Contact us on +44 (0) 1483 210142 or email us at hire@sunbrella.co.uk to discuss your requirements or for a quote. 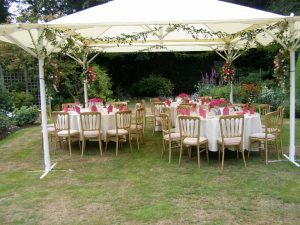 Or you can message us through our Contact page to let us know the details of your event. 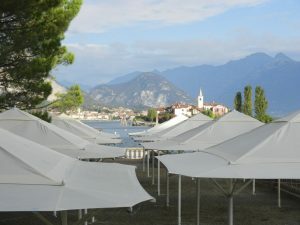 We will come back to you as soon as possible with some ideas and options.